It is interesting to hear the different takes on what’s happening in Madison, Wisconsin. This much we know, the Governor, refuses, is absolutely adamant about, not negotiating. (Perhaps this is the reason the unions want to have the right to bargain collectively.) The Governor threatened to drag all the Democratic elected officials to jail. (Which is why there are so many of them in Illinois.) The Governor maintains that in a democracy people keep working until they reach agreement. But he is not willing to have a conversation – it’s his way or the highway (presumably the highway to Chicago. Pat Buchanan thinks what the protestors are doing to the Capital is sinful, outrageous, and disgusting. My contacts in the Government think that a State Trooper culture which allows people continued access to the people’s house, is a remarkable tribute, not only to the police, but to the workers united in peaceful protest. There has been no violence, no destruction of property. Just some signs taped up to make a visual statement to the ever-present media. Where is Senator Kohl on this issue? We have heard a many pronouncements from Washington talking heads, but not from any prominent Wisconsin Democrats. Do they think if they comment, the nutty Governor will have them arrested as well. It’s easy to blame the number of Democratic losses in the last election on the local economy, or the mood of the country – or White House lack of leadership. But none of that may be the villain. The last Statewide election was clearly lesser of two evils for some people. But for many, the choice was to sit it out. They refused to make a bad choice—they preferred no choice at all. Admittedly, there are economic problems everywhere, particularly at the state and county level. (What happened to a balanced budget after Bill Clinton left?) It is unneccessary to play the blame game – obviously the next and following administrations over pontificated, overspent and were pretty damn short-sighted. Now, along with the Federal Government, almost every state, New Jersey, New York, California, just to mention a few, are broke. The cry for “Shutdown the government” has been heard by everyone who depends on the government for any support. The elderly, the sick, children, civil servants, as well as people who are receiving financial assistance, Social Security and Veterans benefits are a few. It is easy for people who are not financially dependent on the state or Federal government to shut it down. People who have money and resources aren’t as apt to care. When the Government shut down during the Clinton Administration it was horrific – especially for those who were considered “Essential Personnel” (usually a political appointee and no one cared if we missed a paycheck or two) who just answered phones for the entire shutdown. Even if a civic minded civil servant wanted to help, they couldn’t, because it is illegal to volunteer for the US Government. People dependent on government subsidies (earned or otherwise) were simply out of luck. It hardly mattered to elected officials or VIPs, none of whom answered the phones and listened to the stories. But apparently, we have a short memory. Once again, there are threats by elected officials who have no idea what the consequences for the “average citizens”, will be. This was quite a memorable Valentine’s weekend. It was time for David to check back in to the White House, and I had an appointment with my dentist – both in D.C. When I found my dentist Brad Schneiderman, some 25 years ago, we were just kids working our way through new careers. He went to school for his career study, I went to Iowa for the Presidential primaries. As with so many people who did not have pediatric dentists, my fears about that chair and all the procedures, were not rational. In other words, I had to be medicated even for a cleaning. Imagine my relief when I confessed all this to Brad, and he said, “OK, but I have to charge you for the gas.” Anyway, I told him that he was not allowed to retire until I died – so that is where I go for tooth issues. Maybe I buried the lead. 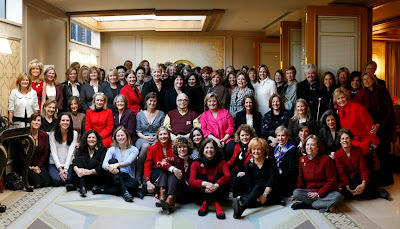 Once a year my pal Mike Berman has a Valentine’s Day luncheon party for his “girlfriends”. No one can agree on when they started but it was somewhere between 15 and 34 years ago. And the size has grown from about six of us at a small restaurant, to about 100 of us at the Four Seasons Hotel. It is one of my favorite events of the year. It’s great to see Michael, a friend for many years. 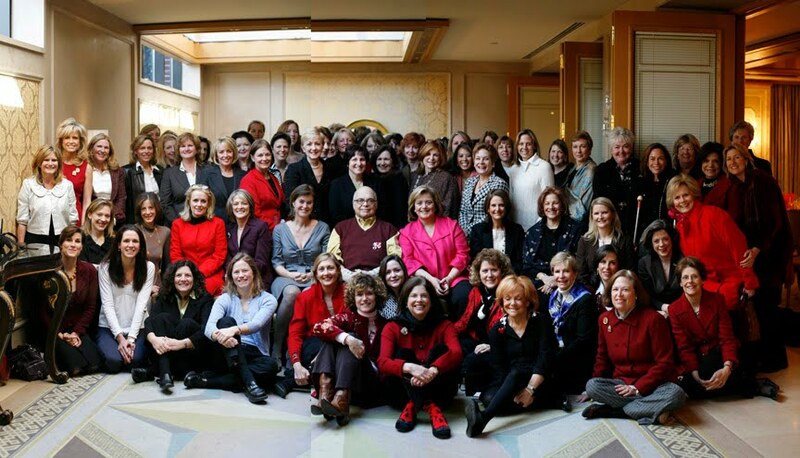 It is equally fun to catch up with women friends who I now see about once a year, and to make new friends with people Michael has added, depending on circumstances, and an occasional client. And, as can only happen in Washington, it is the hottest ticket in town. Everyone knows about it and if you aren’t invited, you think you should have been. Anyway, (again), it is not a party I would ever miss, regardless of my location. We stayed with Steve and Janie, part of the family we created when we moved away from our hometowns – Boonton and Salt Lake City. It was a weekend of non-stop laughs, which started at Argia, a terrific neo-American restaurant in Falls Church, Va. (Yes, there are great places in suburban Washington). As is our custom on Chinese New Year, we went to our favorite place for dim sum, Mark’s Duck House. For years I have been giving all of the employees, from Chinese wait staff to Hispanic busboys, a beautiful ‘good luck’ envelope – which includes a simple good luck freshly printed, crisp dollar bill. They all appreciate the fact that I remember, and that I go out of my way to find the loveliest envelopes that are made—which I can usually find in China Town in NYC. It is always better to have many people at this food feast -- breakfast/brunch/lunch, so it is an opportunity to see other members of our very special family. It seemed even more important to gather this group, this, the first year we no longer live in Virginia. Kind of an assurance to people we love that we will not disappear from their lives. Unfortunately, not everyone we wanted to join us could be there, but there is always another new year. And the icing on the cake, for these yearly events, was that Davey posted, (as he has for too many years to confess) a love note for me on the Washington Post Valentine page). Since we live in New York, it’s a good thing we were visiting. There used to be an entire section, a dozen single spaced pages, now it is only a single half page. It is a happy repeated memory for me, but now mixed with a sadness about the lack of expressions of love on the other eleven 1/2 pages, no longer existing sentiments. In the streets of Cairo there were modest examples of mourning, but not what any of us had expected. And by the second or third day after the funeral – one which saw all the visiting dignitaries in lock step, walking at full speed and surrounded by so many security people that it looked like a mass of ants rather than the diplomatic corps. The only photographer to even make a picture of that marching ensemble was David Rubinger who’d talked his way onto a TV camera platform and was able to shoot over the heads of the security detail. Most of us were scoreless. And so it was probably a good thing that three days later, after more grousing than was proper by the press corps, that the Sheraton Hotel Casino re-opened, enabling otherwise unaccomplished journos to try and make a few real dollars. I confess that I had a good night in that casino, winning about $500 bucks at roulette (then about two day rates).. and on my way out of the room at 2am, put a final $10 on ‘33’ only to see it come up and add another $350 to my pot. That moment provided the week’s only dramatic flourish. I made one picture that week, and in to me it embodied the absolute apathy which I found in the Cairenes. So removed from what we have seen the last three weeks. Something has come alive. And given how many people showed up, and the number of demonstrators who wouldn’t be denied, the few injuries in both civil and 4th estate quarters were surprising, as it could have been much, much uglier. To our western minds, there is never any excuse for what happened to those news crews last week, unless you count the stomping of a woman at a Rand Paul rally in Kentucky last fall before the mid-terms. Well, she wasn’t really a press person, was she. So I guess that doesn’t count. But I suppose if the Egyptians have the same sort of errant view of us, as we very well might of them, then is there any reason for surprise that for the past three or four years, there has been a seemingly calculated plan to keep the Al Jazeera English TV network broadcasts off American cable channels. Yes, a few cable systems here and there (well..not HERE, but maybe There) did take the feed, and as it happens the people who watched their coverage were probably THE best informed about what was happening in the anti-Mubarak demos in Tahrir. For years, no one would touch Al Jazeera. Pretty much in the U.S., no one would touch anything which started with Al, for that matter. They thought they would be funneling the devil’s own news channel into the American heartland. 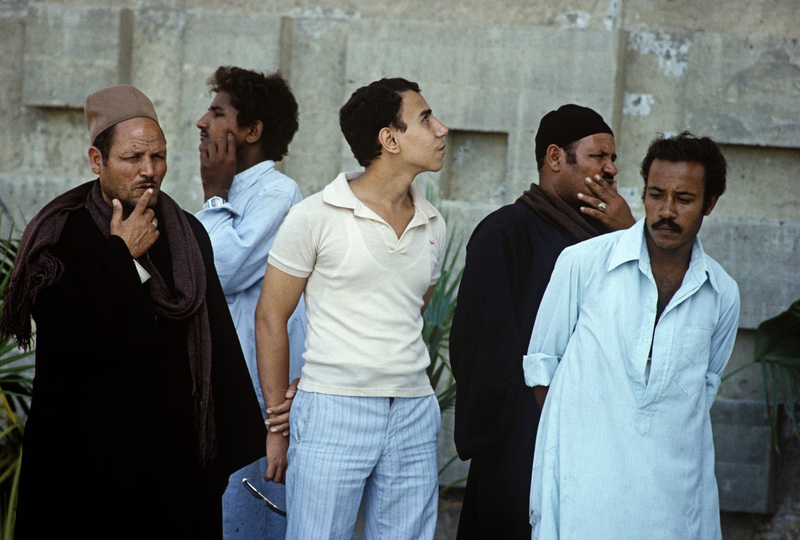 Then things broke loose in Tunisia, and a few weeks later, in Cairo. And, and, and. It does seem like it has a certain momentum. And today in Tehran, street battles reminiscent not only of last year’s post-election confrontations, but those of 30 years ago which I photographed during the Revolution of 1979. And yet for the deepest, and broadest coverage, watching Al Jazeera English service provided so much more information and background than any of the US channels (no surprise here, but still surprising.) And in the end, it has all come full full circle. In fact, the circle may even be a double rainbow style set of loops. Today, following the street demonstrations which supposedly didn’t happen in Tehran, the Iranian government shut down Al Jazeera in the country. I had to laugh. Al Jazeera can’t win for losin’. Although it’s done wonders all of a sudden for their American exposure. Their viewer ship is up in the hundreds of percents, and as it should be. It’s another news network, in English, with lots of money to send people (good people) out to do stories, and can it be any worse than CNN or Fox? I don’t think so. 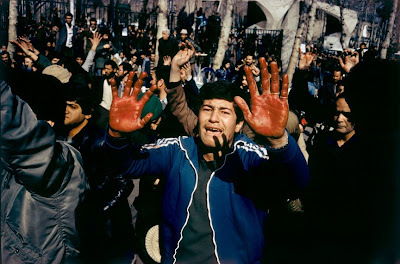 And when the Iranian regime today joined the ranks of wacko Rightwing dingbats, and other people in this country and shut down the Al Jazeera feed, it was a kind of closing of a perfect circle in this crazy world we inhabit. It was as if anyone with a real window on the truth (ok, the Al Jazeera English version of the truth) but a window nonetheless, was going to end up befuddled by local constabularies. It was Jordan’s birthday yesterday. As is the case with most good parents, I sent her a few cards and all my best wishes. Along with these small items, I sent her a pair of her own character shoes, which had been repaired in NY. And since she is in LA, I figured that’s where the shoe’s belonged. A day or two before her birthday she received the package with the shoes and, of course, assumed it was a birthday gift. She called me to say thanks and she was going to wait til her birthday to open it. “Fine”, I said, but nothing more. Jordan is not very patient. She waited about five minutes, and ripped into the box. Then she called me. It was not until that conversation that I thought, wow, what a good idea. We should all send our children their own possessions for their birthdays. How many items of clothing or toys or sundries (I don’t know what sundries are but they always sound delicious), do our children have that; still have the price tags attached, they have never used, or that they don’t even remember are part of their wealth and or property. Just as an example, Jordan loves shoes. Not only character and tap shoes, but boots, and heels, and flats, and anything that covers her tootsies-- the sillier the better. (That was a personal opinion). When we moved and I packed up her room I discovered any number of shoes that were if not new, not even a little worn. There were also sweaters, dresses, shirts, and pants. Part of the problem is that kids have so much stuff, they forget what lives in their closet/closets. And it’s not only kids. When my mother moved to Seattle, we went through all her clothes to see what she might want to take with her. (What things were weather and size appropriate). Mom was kind of a catalogue queen. She never received a catalogue she didn’t like, and from which there was at least one purchase. So, before member of our extended family went to a store to shop for a shower gift, (it didn’t matter what the occasion) they went into my mother’s attic to look for something to re-gift. Technically it wasn’t re-gifting, because Mom thought it might come in handy one day. Which, in fact it did, when someone wanted to give a gift they knew would be new and usually fun. (My favorite was a 3” high, pretend rock, eternal, water fountain – don’t ask). Am I repeating myself? Who can tell the difference anymore? But back to the point (not a chance). We would all do well to look at the things we have in our closets, dressers, cabinets and yes, “chachkas” – those are the things that are, for the most part, useless. But you collect them because; they are cute, you found them on a favorite trip and they are part of the memory, you have others and you can’t stop buying them, it’s trendy, you just couldn’t resist, you are a shopaholic and for absolutely no reason at all. For example, before we sold our Arlington stuff, we had mementos from our trips, childhood, and parents. David had a seriously mildewed golf bag and some old clubs, that were his dad’s. I had carved elephants from places where I traveled that had elephants. David’s bag was a death trap for any of us who have allergies, and my elephants were serving as quite adequate dust collectors. We were never going to give them as gifts nor were we going to schlep them to a new life. But those were an aberation because we threw them away. Admittedly, I found old (but nice) clothing that still had price tags. And there were some sets of dishes and bowls and silverware, that had never been opened. What to do with all these precious items. I’m in Amsterdam, participating in the jury process for this year’s World Press Photo awards, probably the Premier awards in the field of photojournalism, drawing entries from something like 70 countries from around the world. In the course of the week, we go through some 100+ thousand images, in both singles and story categories (Daily Life, General News, Sports, etc. etc. see Worldpressphoto.NL for more info.) The days are long and incredibly tiring. I don’t know when the last time was that you looked at twenty thousand photographs in a single day. For me it was today. The startling thing is how attuned you can become to looking at pictures quickly, and separating the “keepers” from the “might have beens.” Of course it eventually becomes a somewhat subjective decision: photographic technique, esthetics, and news value, among other things, all come in to play. You try and balance things out so that the winning pictures which emerge at the end of a two week process are more than worthy. And in most cases the only reason a picture more remarkable didn’t win is that it’s author didn’t get around to entering the competition. World Press has been around for over fifty years, and seen its yearly celebration of news photography grow like a mad weed. I was on the jury in 1997, and chaired it (as I am now) in 1999, but compared to the sheer volume of imagery, it seemed at the time to be a bit more manageable. Additionally, the biggest change is that instead of sending prints or slides, which for years caused there to be ceiling high stacks of Carousel trays in every room, everything comes in digitally. In most cases the pictures are shot digitally, so the process is less encumbering than before. You merely edit your work, clean it up and send the files to Amsterdam. All the entries are catalogued by a small battalion of what is probably the finest professional organization I have ever worked with. The staff is amazing: thoughtful, efficient, helpful and always breaking for a coffee when that umpteenth picture has finally caused your head to ache. The other jury members are a great mix from around the world – Dakar, Paris, Mexico City, Hamburg, and Seoul were my teammates in the first week. We all bring a particular sense of what photography is about for us, and what it should mean in the world at large. The decisions and conversations about photography are really wonderful, if occasionally bordering on the contentious. But more often than not, rather like the Continental Congress, open discussion and frank criticism leads to a final product of which we are all proud. I write this on day 5 of what is a 15 day process, so as of yet I have no clue what will win anything, though I have seen a lot of really great work. Inspiring, individual, thoughtful. And it’s because I’m right in the middle of the judging process, or will be next Monday, that I won’t be able to attend another event which I would truly like to see. That afternoon, at the Maison Europeen de la Photo, a wonderful photo-centric space in Paris, a long overdue exhibition will open, honoring a photographer who is, sadly, probably unknown to young photogs now just learning the craft. Henri Huet, a soft spoken, totally dedicated French-Vietnamese who worked for years for Associated Press, will finally have his due. 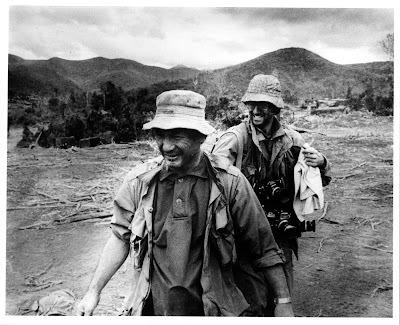 Henri was a great photographer, who covered the war in Vietnam for many years, and always brought to his work the eye of someone whose blood was of that soil. He was a staff photographer for the AP, and covered both the civil and military stories in Vietnam: sometimes they were the same. In 1966 he won a Robert Capa Gold Medal (Overseas Press Club of America) for his work of a US Army medic tending to the wounded. (Here is that work, in Digital Journalist.) Always ready to get back into action, he came back to Saigon from abroad in late January 1971 when it looked as if a big build up in I Corps (South Viet Nam) would mean something was being planned to interdict North Vietnamese supply traffic on the Ho Chi Minh trail, just a few miles over the border into Laos. Thousands of South VN troops were ferried over the junglesque hills, in large part by US helicopters, to try and establish positions which would slow down the resupply traffic. In what was the first instance of an official US decision to try and control press access, the normally user-friendly American choppers (you could often just walk up to a crew chief, and if he was going where you wanted to go, he’d say “jump in”) started refusing to take Press over the border, and insisted that any Press jaunts be handled by the South Viet Namese Army. The VN Army was well equipped but for the most part much less trained and experienced than American chopper crews. And so it was I found myself at a base camp near the Laotian border on the morning of February 10th, 1971, trying to secure a seat on a chopper which had been assigned to the press. I’d gone to Quang Tri (about 40 miles away) the day before to ship film, and had just returned, and thereby found myself at the back of a very small line. There were four news photographers, a reporter, and a Vietnamese Army photog all waiting for the first Press chopper to take them to the story. As they started to get aboard, I realized there would probably not be room, but that made no real sense to me, as I was working for TIME, and did absolutely NOT want to lose this scoop to the others there. They represented the main news organizations, Henri Huet of AP, Kent Potter of UPI, Larry Burrows from LIFE, and Keisaburo Shimamoto from Newsweek. Between them something like 35 years of experience in Viet Nam. So I kept trying to harangue the VN Army major who’d been tasked with taking care of the journalists. And the clearer it became that I might not get on that bird, the more worked up my pleas. Finally, as the engines began to whine, a reporter friend from TIME, Jon Larsen, came over and gave me some sage advice. “If you keep annoying that guy you’ll NEVER get to Laos. Why don’t you walk away, cool off, and come back later.” I did just that, still fuming over the situation. In one last look I saw them all settle into their webseats as the helicopter readied to take off and head west into the Laotian jungle. It was less than an hour later, while walking by the VN command post, the same major who had kept me off the bird came outside and said in halting English, “ I think maybe your friends shoot down Laos.” And as I started to ask what he meant, he spun around and walked back inside. Moments later I ran into LIFE reporter John Saar. John was a few years older and infinitely more experienced in working in VN, and often worked with Larry, the icon whose photo reportages on Vietnam for LIFE were the definitive photographic work. I recounted to John what I’d just heard, and we both wondered what to do next, who to talk to in order to find out what the hell was really happening. As we started to walk, I saw in the distance Hal Ellithorpe, the LIFE stringer who I’d seen get on the chopper with Larry, and for a moment I was relieved. And at that moment it all sunk in. They probably were lost. No one knew for sure just yet. But to get away from that moment, I left the area, and went off shooting for the rest of the day. That night I returned to Quang Tri, where the press briefing center was, and in a moment I’ll never forget, as I walked into the back of the briefing room, Brian Barron, a young silver haired BBC correspondent turned around to me and whispered… "have you heard, Larry Burrows has been shot down in Laos.” It didn’t then, and in many ways even now doesn't make sense to me. Seeing them one minute, they being "lost" the next. The calculations that war photographers go through carry a large basket of unknowns with them. You can try and figure what is and isn’t worth trying to do, what might or might not be a little TOO dangerous, but these are always done with false math. There is no formula. And if it might be safe for someone else to take a lonely stroll up Hiway 13 towards the sounds of battle, it won’t necessarily be that safe for you. We all try and make our guesses based on the best of what we know, and what we suppose could happen. But it’s not a science. Did I ever tell you about the time when David went away and it snowed. And snowed. And snowed. That is, as my mother would say, what was. We had a house and a driveway, three (sometimes four) cars. Stone sidewalks and a back deck. It seemed that every time David left town, I was left to shovel out all the previously mentioned localities. In fact, one time, when David was away, there was so much snow, I had to shovel my way into the house. But this was before we moved to a factory storage space and an apartment in midtown Manhattan. And so ladies and germs (didn’t you always hate that), I don’t have a workable internet router in my apartment. I cannot send or receive emails. I can’t check Face book, or be entertained by youTube. I am so lonely. This morning, I went to the 24 hour Fitness Center to use their wifi. It was not uncomplicated. It was sleeting. (Thought I’d do color along with the rather boring play-by-play). I was wet when I got there – it is just across the street, which gives you an idea about the amount of sleet. Then I logged on to their computer, which kept asking me if I wanted fettered or unfettered communication. I thought, unfettered – but that was not to be. Then I had to write a number, to prove I was literate, if not math capable. Once I had completed all the assigned tasks, I was shown my e-mail. This does in no way mean I could read my email. Everytime I clicked on a message, the computer immediately took me back to the “fettered/unfettered” question and more numbers. Defeated, I logged out, never having read one communication from any friend or Overstock.com. In my heart of hearts, I know none of this is David’s fault. But I can’t help thinking his leaving and all the “tsuras” (it’s Yiddish for aggravation but I didn’t want to repeat myself) has some indirect connection to his absence. Yes, admittedly, I felt I needed someone to blame. And who better than your absent IT guy, when there’s a breakdown. While it is true that my IT guy does have another life, it does not mean that he shouldn’t be available to my every whim. As if that weren’t all too terrible for words, his patience during my crisis was irritating at best. “Well dear, just buy a new one and have someone at the Apple store walk you through it. It’s so simple I know you won’t have any problems.” Before I trekked over to the Apple Store (if you have never been there it’s unexplainable – but you have to have an appointment), I thought I would look on line to see how simple this was going to be. You know what’s coming next. As I read through the instructions I was so confused and bored, that my eyes glossed/glazed over and I went to sleep. This did not help – except to make me understand that I would be inaccessible to everyone in my life, (professionally and personally), until David comes back in the middle of February.